As a defense attorney who has presented cases to juries and judges across Nebraska for over 50 years, Jeff Jacobsen has a practice that consists primarily of insurance, medical malpractice, personal injury and product liability defense, as well as business, probate and other litigation. He is especially well-known for a long career in defense in professional negligence cases in the medical field and he has handled hundreds of cases at trial in addition to resolution in mediation or arbitration. Having founded Jacobsen Orr in 1978 with Jeffrey L. Orr, Jeff has been long active in the legal community, is a fellow of the American College of Trial Lawyers and has served as the chair of the Nebraska State Committee. He has served in the House of Delegates and on the Executive Council of the Nebraska State Bar Association. Jeff is also a past member of the Nebraska Association of Trial Attorneys, Nebraska Defense Counsel Association and the Defense Research Institute. 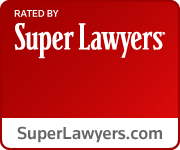 Jeff has been honored for several years by his selection as a "Super Lawyer" in the area of litigation, and in 2013, he was honored with the Master Emeritus Award by the Nebraska Defense Counsel Association (NDCA). The award is given in recognition of a legal career of superior representation of defendants in civil actions while upholding the highest professional and ethical standards. The award is a symbol of Jeff’s client-centered approach — an approach made prevalent at Jacobsen Orr. Jeff recently changed his status at Jacobsen Orr to that of Senior Counsel, indicating his desire to continue to represent his clients while at the same time beginning to enjoy some of the fruits of his labor with a reduced work schedule. Kuhn v. Wells Fargo Bank of Nebraska, N.A. (Contract/Commercial Lease Litigation) August 28, 2009. Johnson v. City of Kearney (Challenge of Special Assessment) April 03, 2009. Borley Storage & Transfer Co., Inc. v. Whitted (Summary Judgment) Supreme Court of Nebraska, March 21, 2003. Wortman By and Through Wortman v. Unger (Personal Injury) Supreme Court of Nebraska, May 1, 1998. Fales v. Books (Medical Malpractice) Nebraska Supreme Court, December 12, 1997. Swedlund v. City of Hastings (Zoning-Annexation) Nebraska Supreme Court, June 11, 1993. Shahan v. Hilker (Personal Injury) Nebraska Supreme Court, September 11, 1992. Craig v. Farmers Mut. Ins. Co. of Nebraska (Insurance) Nebraska Supreme Court, October 18, 1991. State v. Dodge City (Seizure) Nebraska Supreme Court, June 21, 1991. Bituminous Cas. Corp. v. Deyle (Workers’ Compensation) Nebraska Supreme Court, February 23, 1990. Olsen v. Richards (Medical Malpractice) Nebraska Supreme Court, May 26, 1989. Gehre v. Coleman (Medical Malpractice) Nebraska Supreme Court, August 4, 1989.